Individuals with disabilities who need help with vocational rehabilitation or support for independent living should be aware of Adult Career and Continuing Education Services-Vocational Rehabilitation (ACCES-VR). ACCES-VR helps people with disabilities gain and keep employment, and assists with support for independent living, through rehabilitation, training, education and career development. Funding for some services is based on financial need, and most services are provided at no cost. The program provides vocational rehabilitation services that include assessments and evaluations, vocational counseling and guidance, special transportation, rehabilitation technology, work readiness, adaptive driver training, tutoring, reading and note taking services, modifications to homes or worksites, job development and placement, on the job training, and job coaching. In addition to vocational rehabilitation services, transition services are available to young people who are finishing school and seeking work or higher education. ACCES-VR works closely with school districts to help youth with disabilities prepare for transition and employment, community living, or post-secondary education. The Youth Employment Services (YES) program helps students transition to the world of work, and provides a schedule of services that accommodate the school day and academic calendar as necessary. ACCES-VR district offices are located in Manhattan, Brooklyn, Queens, the Bronx, White Plains and other locations, where applications for services are available. The best way to get started with the program is to attend an orientation session. To learn more, visit http://www.acces.nysed.gov/vr. Learn more about our special needs planning and special education advocacy services at www.littmankrooks.com or www.specialneedsnewyork.com. Was this article of interest to you? If so, please LIKE our Facebook Page by clicking here or sign up for our monthly newsletter. Tags: acess-vr, Adult Career and Continuing Education Services-Vocational Rehabilitation (ACCES-VR). Advocates for people with autism are marking Autism Awareness Month in many ways throughout the month of April. Buildings and landmarks around the world were illuminated in blue light April 2 for World Autism Awareness Day, recognized by the United Nations since 2007. The Light It Up Blue campaign is sponsored by the nonprofit organization Autism Speaks. The White House, Rockefeller Center, the Leaning Tower of Pisa, the Great Pyramid of Giza and the Empire State Building were all bathed in blue light to raise consciousness of autism spectrum disorder, which affects one in 68 children. Advocates said that increasing understanding and acceptance of people with autism and their families is essential, but raising awareness is only the first step. Although great advances have been made in research and interventions, children and adults with autism need meaningful assistance, and the programs that help them need strong funding support. New York City special education students and their parents should be aware of a potential disclosure of student records for the purpose of a class action lawsuit. The potential disclosure may affect students who had an Individualized Education Program (IEP) prepared between 2003 and 2016 by the New York City Department of Education (DOE), and either attended a state-approved non-public school or were diagnosed or classified as autistic. The student records are covered by a confidentiality agreement and would only be disclosed to the parties to the lawsuit, their attorneys, experts and the court. The plaintiffs in the lawsuit, M.G. v. NYC DOE, are children with disabilities (and their parents) who attended State-approved non-public schools or were diagnosed or classified as autistic and claim that certain DOE policies violated the Individuals with Disabilities Education Act by preventing them from receiving special education services. Parents who object to the disclosure of their children’s records may file an objection form by August 7, 2016 requesting that protected personal information be removed from those students’ records before they are released. Objecting to disclosure will not affect any rights that students and parents may have under the lawsuit or in relation to the DOE. As school is closing and summer is starting, many parents are looking to find ways to integrate their children in community events and activities for summer. Americans consider baseball a national pastime. Children of all ages look forward to attending a ball game with friends and family to root on their favorite team. Yet for children with disabilities, and particularly for children on the spectrum, attendinga baseball game may be too overwhelming. Autism Speaks and Major League Baseball have teamed up for their Annual event in recognition of Autism Awareness Month to bring a unique experience to fans on the spectrum. Both the Mets and Yankees are participating in this event. 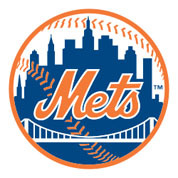 The Mets held their game on May 1, 2016, and the Yankees game is set for August 6, 2016. The games specifically targets fans with Autism, and seek to provide a friendly environment for individuals and their families affected by Autism. 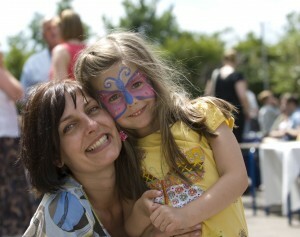 Individuals with Autism often have difficulty integrating in community events. Loud noises and over-stimulating environments often prevent individuals on the spectrum from being able to attend events such as a baseball game. By providing certain accommodations such as dimmed lighting, muted announcements and certain deemed quiet zones with sensory friendly environments, individuals on the spectrum can enjoy the ball park in a whole new way. A part of the proceeds from ticket sales will go to Autism Speaks. This exciting event is just one of many events scheduled in our area to promote further awareness for Autism. It is encouraging to see so many people educating and reaching out to provide support for Autism awareness. Littman Krooks applauds and encourages Autism outreach activities. I look forward to this and many more events in our community that our clients can share with children on the spectrum. Let’s play ball. Take a deep breath … It can be emotionally difficult to accept and deal with the fact that your child has a disability. If you want your child with a disability to receive appropriate services to make his or her life (and yours) easier and more productive, you should acknowledge the possibility and consider seeking services. First, you need a good diagnosis, to which interventions can be geared. This diagnosis can occur at any point during a child’s development, most commonly during infancy or early childhood. However, some parents only realize that their child has a disability in adolescence, when work and social demands become more difficult. If your doctor or psychologist makes a diagnosis, keep in mind that you need to share this information with your school district or preschool and determine whether your child is eligible for services. The Individuals with Disabilities Education Improvement Act of 2004 (“IDEA”), protects children with disabilities ages birth to 21 or until a student graduates with a regular high school diploma. The IDEA requires each state and school district to identify and evaluate all children who need special education and/or related services. Related services include physical, occupational and speech and language therapy and more depending on need. Early Intervention (EI) is a system of services, free of charge to parents, that help children with disabilities or at risk for a disability, ages birth – 3 years old, and their families. For a child to receive EI services pediatricians, other service providers and parents may refer a child for EI. The Center for Disease Control and Prevention recommends that children be screened for developmental delays and disabilities during regular well-child doctor visits at 9, 18 and 24 or 30 months and additional screening may be warranted if a child is at high risk. Once your child is school age and you suspect a disability or receive a diagnosis, parents may contact their school district and request that their child be evaluated for eligibility for special education and related services. School districts are responsible to provide educational and related services, free of charge to parents, for children with disabilities ages 3 – 21 or until a student receives a high school diploma. The law requires that school districts receive informed consent from parents before the child is evaluated by the school district to determine if the child has a disability under the IDEA. The individual evaluation must include a variety of assessment tools and strategies. A school district must conduct the evaluation within 60 days from the date that the parent consents to testing. At a minimum, an evaluation must include: a psychological evaluation, a classroom evaluation, a social history, a physical examination and other appropriate assessments or evaluations. Does the child have a disability that requires special education and related services? What special education and related services are appropriate for addressing those needs? If parents disagree with the school district’s evaluations, they have a right to an Independent Educational Evaluation (IEE) and request that the school system pay for the IEE. A diagnosis from a doctor or psychologist of a disability does not guarantee that a child will be eligible for special education or related services. The law requires that the disability impacts the child academically. In New York, a Committee on Special Education (CSE) for students in grades K-12, and a Committee on Preschool Special Education (CPSE) for students ages 3-5, are multi-disciplinary teams that include, at the very minimum, the parent, a general and special educator, a school psychologist or another professional who is qualified to interpret evaluations, and a district representative. The CSE and CPSE will convene to review the evaluations and determine if the child is a “student with a disability”, as defined by the IDEA. If the parents do not agree with the evaluation decision, they may ask for an impartial hearing to challenge the decision. Some neurological conditions, such as Autism Spectrum Disorder (ASD), Attention Deficit Hyperactivity Disorder/Attention Deficit Disorder (ADHD/ADD) and a Learning Disabilities (LD) are often difficult to diagnose because there is no medical test, like a blood test or an MRI, to diagnose these disorders. Further, many other conditions have symptoms that are similar to those of ADHD/ADD and there is a great deal of comorbidity with other conditions. For example, anxiety can mask as ADHD. At the CPSE and CSE meetings, if a child is deemed eligible, the team will draft an Individualized Education Program (IEP). The IEP is a legal document which discusses the child’s strengths and areas of need. It specifies the special education and related services that the child will receive free of charge to the parents. If the parents disagree with the IEP or the placement recommended by the CSE, the parent may request a Due Process Hearing. In some cases, filing a complaint with the New York State Education Department may be appropriate. Parents may proceed pro se (without a lawyer) or be represented by counsel. If your child has a disability, try not to waste your emotional energy on self-blame. Disorders such as autism, ADHD, and emotional and learning disabilities can be disorders in certain regions in the brain. They are not caused by bad parenting, chaotic home environments, ineffective teachers, too much sugar in the child’s diet or the child himself. Your child is still the same child you had before the diagnosis. Love, play, engage, have fun, enjoy, hug and laugh with your child. If your child is an adolescent, give your child support along with the space he or she needs to grow at their own pace. Take care of yourself or you will not be able to take care of your child. We are all familiar with the stewardess’ message on airplanes to put your oxygen mask on before you place one on your child. So take care of yourself so you can better take care of your child. Put on your oxygen mask by joining support groups, finding solace in supportive family and friends or religion, joining support groups, exercising and eating well and remembering to enjoy and laugh. It can be a long journey. For more detailed information about disability laws, see www.nysed.gov/specialed. Felicia Rosen is a legal intern with Littman Krooks LLP and is an attorney. She graduated from New England School of Law and Columbia University Teachers College. Was this article of interest to you? If so, please LIKE our Facebook Page by clicking here. Although special education students in New York can pass their Regents exams with lower scores than students without disabilities, they do not have the same ability to appeal if they fall short. One New York parent, whose son was one point away from passing a Regents test, is advocating for change. Generally, students in New York who do not have disabilities must achieve a score of 65 or higher on five Regents exams in order to receive a diploma. However, such students can appeal up to two Regents exam scores as low as 62, provided they earn a passing course grade and demonstrate strong attendance. While a successful appeal does not change the Regents exam grade on the transcript, it does allow the school district to grant a diploma to students who have fallen short on the exam, but otherwise demonstrated mastery of the high school curriculum. Students with disabilities benefit from the so-called “safety net” and must generally score 55 or higher to pass the Regents exams. On some exams, even a score as low as 45 may suffice if it is offset by another exam score of 65 or better, but this compensatory option does not apply to the Regents exams in English and Math. While the safety net provides meaningful relief to students with disabilities, those who approach, but do not achieve, a score of 55 on the English or Math Regents exams have no ability to appeal for a diploma as do students without disabilities who come within a similar margin of passing. A Brooklyn resident and mother of an 18-year-old son with a learning disability, took action when her son was poised to come within one point of earning his diploma. He passed four Regents exams, earning scores as high as 79, but was unable to score higher than a 54 in algebra, even after taking the exam three times. She said that, as a high school diploma was essential for her son to be considered for many jobs that he would be capable of performing, she was determined that he would not be denied a diploma over one point on one exam at his anticipated graduation in June 2016. New York officials responded to her concerns and said that the Board of Regents would vote on a rule in December to allow special education students to appeal for the right to a diploma if they achieve a score of at least 52. Officials said the change would not be a lowering of standards, but an inclusion of special needs students without diminishing their ability to achieve. Practical Pointer: Students with disabilities may remain in school and continue to receive services until age 21 or until they earn a Regents or local diploma, whichever comes first. Parents must keep in mind that students may earn a Regents or local diploma and a Career Development and Occupational Services Credential, which attests to important work readiness skills and requires work experience. For many students with disabilities, graduating with a Regents or local diploma at 18 does not represent the best option and may deprive the student of the opportunity to develop needed work-readiness skills, as a school district’s mandate to provide a free appropriate public education (FAPE) ends when the diploma is earned. Thus, the decision to appeal must be considered carefully against the benefits the student may receive from potential additional year(s) of schooling while he or she pursues the score of 55. It remains to be seen whether the opportunity for appeal will apply to both of the English and Math Regents exams simultaneously, or only for one or the other. October is National Disability Employment Awareness Month, a time to celebrate the ways that people with disabilities strengthen the workforce, the nation, and the communities in which they live, and to commit to a society in which all people can build bright futures for themselves and their families. In New York State, the Office for People with Developmental Disabilities (OPWDD) will honor selected businesses in the state that have shown that employing people with developmental disabilities is great for business, and that these workers are valued. On Thursday, October 22 at the New York State Museum in Albany, OPWDD will host an event called Works for Me, which will highlight the inspiring stories of workers with developmental disabilities who add to the success and productivity of businesses across the state. For more information, visit opwdd.ny.gov. Siblings are included in the protections of the Family and Medical Leave Act (FMLA) in some circumstances. The FMLA, enacted in 1993, provides for eligible workers to take unpaid leave for up to 12 workweeks per year because of their own serious health condition or to care for their spouse, parent or child with a serious health condition. Siblings have never been explicitly included in these protections. However, the Department of Labor Wage and Hour Division, which implements the FMLA, has clarified that siblings are protected in certain cases. First, the Department has clarified that “son or daughter” includes both children under the age of 18, and adult children who are incapable of self care because of a physical or mental disability. Second, “son or daughter” has been clarified by the Department as including individuals for whom the worker seeking leave is acting “in loco parentis,” which means “in the place of a parent.” This may include siblings who have day-to-day responsibility for caring for the child or adult with a disability. With these detailed updates from the Department of Labor, it is clear that otherwise-eligible employees who are siblings with the day-to-day responsibility of caring for a brother or sister, including an adult brother or sister incapable of self-care due to a disability, are protected under the FMLA when they must take leave from work to care for their sibling. By Marion M. Walsh, Esq. The end of the school year can bring relief for many students and parents, but also uncertainty and trepidation about the summer months. The new school year technically beings on July 1, 2015, although most students will not begin school until September. Many students do regress academically, behaviorally or emotionally during the summer months and require Extended School Year (“ESY”) services over the summer. • receiving other special education services who, because of their disabilities, exhibit the need for twelve-month special service and/or program in order to prevent substantial regression. An ESY program is very different from summer school which high schools may offer for typical students. Summer school credit recovery programs focus on the needs of students who have failed classes or need support during the summer months. For students who are in summer ESY programs, it is important for parents to monitor closely and take immediate steps to rectify any concerns, as the six weeks passes quickly . Too often, school districts throw ESY programs together too quickly and do not ensure appropriate groupings or activities. Be sure to monitor your child’s progress and put all complaints in writing. Q: My child’s program only has very disabled peers and looks very different from her school year program. Is this appropriate? Q: How can I monitor my child’s progress? • Is my child working on his or her goals? • Does this class provide an appropriate group of students? • Is the program addressing the specific areas of weakness? • Are staff appropriately trained on her area of disability? • Is there adequate supervision? • What about field trips? Q: My child needs a break from school and we have long family vacations. Can I pull her out of the summer program? Speak with the CSE and the District and notify staff that you are considering removing your child from the summer program because of needed family time or simply down time. You may also decide that your child needs a recreational program to develop social skills. Ask if you think removing her will have an impact or affect her progress. If your child is in a school district program, it is unlikely that this will cause difficulties. However, do keep in mind if you do not access the summer program for your child and complain about lack of progress or regression in the fall, the CSE may consider the fact that she did not attend the summer program. Also, if your child is in a specialized school, this will probably not be appropriate and the school may state attendance is mandatory. If your child is in a twelve month residential program, this will not be an option. Q: My child’s CSE in May stated my child did not regress during breaks, but I see significant regression. They had no data. What can I do? Whenever you disagree with any decision of a CSE, you have the right to file for due progress. While it is late in the year to file for summer, you may file for compensatory services. It’s best to talk to an attorney about the options. Also, in the next school year, be sure to ask the teachers before each break to measure regression. Keep your own records as well, as to basic skills your child has before each break and after. Q: I do not believe that my child’s ESY program is appropriate and am sending him to a private camp. Can I seek reimbursement from the school district? Yes. You do have the right to file for due process and may seek reimbursement for private services. If the private summer program you chose offered individually tailored special education services, you may prevail in a claim. Keep in mind that it is the law does not allow recovery for camping and recreation programs, however. A hearing officer could order reimbursement if: 1) there has been a denial of a free appropriate public education; 2) the private services are appropriate and 3) equitable considerations support the claim. In short, ESY services represent an important aspect of your child’s special education program. If you have questions or do not believe the program is appropriate, it is best to speak to an experienced special education attorney about your child’s case. Trusts are a common estate planning tool and are used to keep assets out of a probated estate or to reduce an estate tax burden. Trusts can also be used to protect one’s heirs. There are instances when it may not be in a person’s own best interests to inherit funds directly. A direct inheritance may prove detrimental in the case of an heir with special needs. The families of individuals with special needs have often arranged their finances such that the individual will be eligible for Supplemental Security Income, Medicaid and other public benefits. These programs are needs-based, which means that if the individual’s income or assets rise above a certain level, the benefits could be lost. In a case like this, a direct inheritance could do more harm than good, and a solution may be a special needs trust or supplemental needs trust, which can be used to provide for certain supplemental needs of an individual while preserving their eligibility for benefits. In other cases, a person planning their estate may wish to consider certain circumstances in the lives of their heirs that could put an inheritance at risk. This may include a variety of situations. Some heirs may be unlikely to be able to manage money in their own best interests, due to their youth, their spending habits, or circumstances such as a substance abuse issue. There may be reasons that an heir is likely to become a defendant in a lawsuit. In other cases, if an heir divorces, then the divorced spouse may claim a share of assets inherited directly. In the case of a second marriage when there are children from a prior marriage, a person planning their estate may wish to ensure that their grandchildren are provided for, not their child’s second spouse. A qualified estate planning attorney can design an asset protection trust or spendthrift trust to protect your family’s assets against such risks. The details of the trust and its power to protect assets depend on individual circumstances and state and federal law. Generally, a trust can be used to restrict a beneficiary’s ability to assign his or her interest in the trust to another person and restrict the rights of creditors to reach the assets of the trust. However, it is important to recognize that, depending on applicable law, the trust assets may be able to be reached to satisfy certain obligations, such as child support or taxes. To learn more, meet with an estate planning attorney at Littman Krooks.